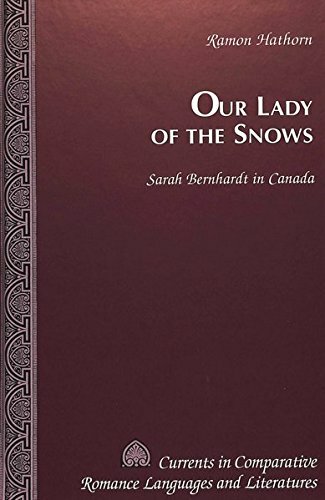 Our Lady of the Snows documents Sarah Bernhardt's visits to Canada between 1880 and 1918, particularly her conflicts with the Archbishops of Montreal and Quebec City. It also examines the response of anglophone and francophone critics to her repertory and her presence in recent Canadian plays, particularly John Murrell's Memoir. It argues that Bernhardt, whose fame and notoriety provoked Quebec's patriarchal clerical establishment, was unwittingly a catalyst stimulating public debate between ultramontane and liberal Roman Catholics about the morality of the theatre which ultimately culminated in the appointment in 1912 of Montreal's first secular theatre censor.